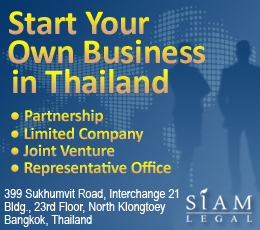 The Thai Customs Department regulates the importation and exportation of goods coming into and exiting Thailand. Within these regulations there are classes of goods which are heavily scrutinized. On class of products are prohibited from entering Thailand under any circumstances. The second class of products are restricted from entering Thailand without permission. Under Article 27 of the Customs Act of 1926 and subsequent amendments, the following items the prohibited by law to bring into or out of Thailand. IPR infringing goods e.g. musical tape, CD, VDO, computer software, etc. *Any habit forming narcotics such as marijuana, opium, cocaine, morphine, heroin, and other drugs are considered banned even if they have been prescribed by a doctor. Under same article of the Customs Act of 1926, the Ministry of Commerce is allowed to designate certain classes of goods that are subject to import controls. The controls are generally in the form of licensing or government permission. The following items require permission from specific government departments in order to be allowed customs clearance into Thailand. There are currently no restrictions on bringing foreign currency into our out of Thailand. The only requirement is that if the total amount of the foreign currency exceeds USD$20,000 or equivalent, it must be declared to the customs officer. And if there is a wire transfer of foreign currency exceeding the value of USD$20,000, a foreign exchange transaction form must be completed. There are no restrictions bringing in Thai Bahts into Thailand but there are restrictions on taking Bahts outside of Thailand. When carrying Thai currency to a neighboring country, there is a limit of up to 500,000 baht that can be taking out of Thailand without a permit issued by an authorized bank. If the carrier wants to take more than 50,000 baht to another country other than a neighboring country, they will be required to obtain a permit from an authorized bank. The authorization must be shown to a customs officer when leaving the Kingdom of Thailand. Can I take with me a hookah with it’s tobacco to Phuket? I heard the stopped to sell it at the restaurants there but I don’t know if I can take it for my personal usage? Importing electric cigarette in Thailand was prohibited, so better not to bring it. Kindly call the Thai Custom Center at Tel: 1164, for you to know if you still need an export permit for your plant. Hi I’m a Sri Lankan, I’m planing to buy some lord Buddha staues (not antiques). Does it permitted to take it or do I have to take permission from customs? ?